Taj Mahal, considered to be a symbol of love, holds some unsolved mystery put forth by the well know historian Mr. P.N. Oak. 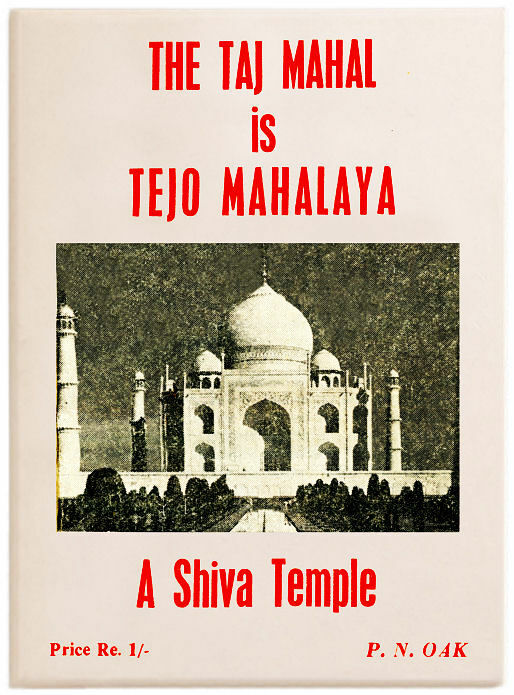 He claims that Taj Mahal is a temple dedicated to Lord Shiva named Tejo Mahalaya. Oak discovered that the Shiva temple palace had been usurped by Shah Jahan from then Maharaja of Jaipur, Jai Singh. Shah Jahan then remodelled the palace into his wife's memorial. In his own court chronicle, Badshahnama, Shah Jahan admits that an exceptionally beautiful grand mansion in Agra was taken from Jai Singh for Mumtaz's burial. The ex-Maharaja of Jaipur is said to retain in his secret collection two orders from Shah Jahan for the surrender of the Taj building. This theory has been backed by : - Professor Marvin Miller of New York took samples from the riverside doorway of the Taj. Carbon dating tests revealed that the door was 300 years older than Shah Jahan. - European traveller Johan Albert Mandelslo, who visited Agra in 1638 (only seven years after Mumtaz's death), describes the life of the city in his memoirs, but makes no reference to the Taj Mahal being built. - The writings of Peter Mundy, an English visitor to Agra within a year of Mumtaz's death, also suggest that the Taj was a noteworthy building long well before Shah Jahan's time. Many rooms in the Taj Mahal have remained sealed since Shah Jahan's time, and are still inaccessible to the public. Oak asserts they contain a headless statue of Shiva and other objects commonly used for worship rituals in Hindu temples. Prahalad Jani or Mataji is an Indian sadhu (saint) and is a devotee of deity Amba. 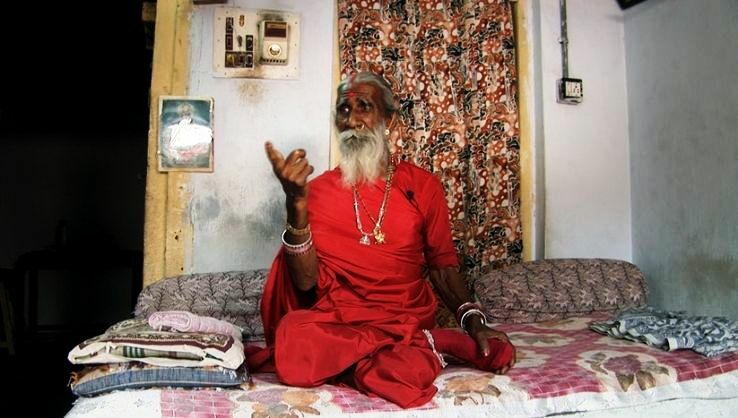 He claims to have lived without food and water since 1940, and says that the goddess Amba sustains him. Prahlad Jani, says that he is surviving by chanting mantras and by meditating for goddess Amba. Prahlad Jani has been kept under observations 2 times to know the medical reason behind his claim and also to prove his claim of living without food or water from 1940. He believes that the goddess Amba provides him with a water like sustainable liquid inside his body to keep him alive. Till now 2 observational studies has been made, one in 2003 and another in 2010 to prove his claim or to deny it. Many expert neurologists monitored Jani and they were surprised by the result. The experts confirmed Jani's ability to survive without food or water but the claim was not proven due to many allegations relating to the procedure of tests conducted. - Jani was examined daily for checking his vital statistics. - Prahlad Jani was made to stay in a sealed room for 10 days. - He was provided just 100 milliliters of water a day for mouth wash.
- The room's toilet was sealed off and Cameras were installed to monitor. - No Food / water (except that 100ml) was provided for 10 days straight. - Some liquid was found in his bladder. - Jani was perfectly healthy after that 10 days of observation. - His weight was reduced slightly and he didn't urinate or defecate. 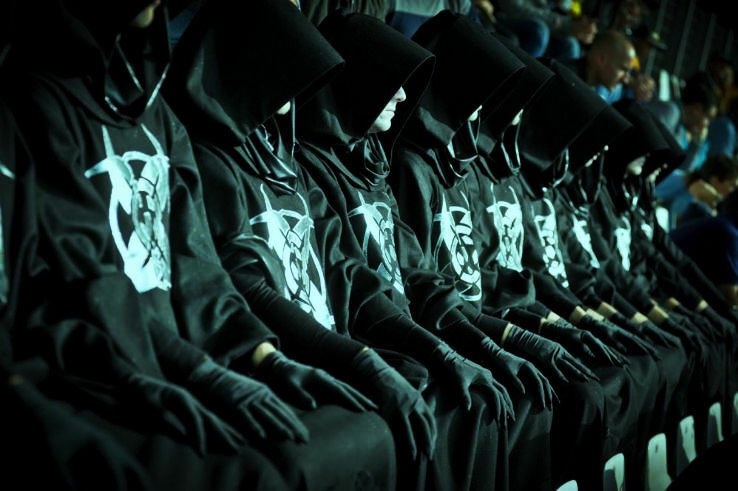 According to occult lore, the Nine Unknown Men are a two millennia-old secret society founded by the Indian Emperor Asoka 273 BC. The society was founded after Asoka won the battle of Kalinga and at the sight of the death of 100,000 lost in the battle, resolved to follow the path of non violence. He converted to Buddhism after the massacre, the Emperor founded the society of the Nine to preserve and develop knowledge that would be dangerous to humanity if it fell into the wrong hands. It is said that the Emperor Asoka once aware of the horrors of war, wished to forbid men ever to put their intelligence to evil uses. During his reign natural science, past and present, was vowed to secrecy. Henceforward, and for the next 2,000 years, all researches, ranging from the structure of matter to the techniques employed in collective psychology, were to be hidden behind the mystical mask of a people commonly believed to be exclusively concerned with ecstasy and supernatural phenomena. Each of the Nine is supposedly responsible for guarding and improving a single book which includes materials or subjects like propaganda, psychological warfare, physiology, microbiology, communication, gravitation, cosmogony. Nobody knows where the book is and these nine men are or if these claims are just a mindful hoax. More than six decades after his allege death in a plane crash, the mystery over that incident and Netaji Subhash Chandra Bose's possible survival still haunts the Indian nation. The four-member Shahnawaz Committee was the first official endeavor to examine whether Bose actually died in a plane crash in Taihoku (Taipei) on August 18, 1945. The committee went to Japan in May, 1956 and a number of Japanese army surgeons testified that they actually conducted blood transfusion on a seriously injured Subhash Bose who later succumbed to his injuries. The G. D. Khosla Committee, which carried on its probe from 1974-1978, could not arrive on any definite conclusion. The Justice Mukherjee Committe, set up in 1999, submitted its report in 2005 and proclaimed that Netaji did not die in the plane crash. Many believe that Subhash Chandra breathed his last in Soviet custody years after the alleged crash in Taiwan. There are unconfirmed reports that in 1946 Russian strongman Josef Stalin and diplomat Vyacheslav Molotov actually discussed whether Bose should remain in the Soviet Union. More startling is the alleged incident that India's ambassador to Russia, Dr. S. Radhakrishnan was permitted to meet Netaji in an undisclosed location in the Soviet Union. Lt Colonel Habibur Rahman Khan, Netaji's trusted Aide-de-Camp, is widely believed to be the sole survivor of that fateful plane crash. Rahman later enshrined Bose's ashes in the Renkoji temple Tokyo. However despite repeated interrogations by British authorities, Rahman never substantiated Netaji's death and throughout his life maintained that he was bound by an oath of secrecy to his deceased leader. 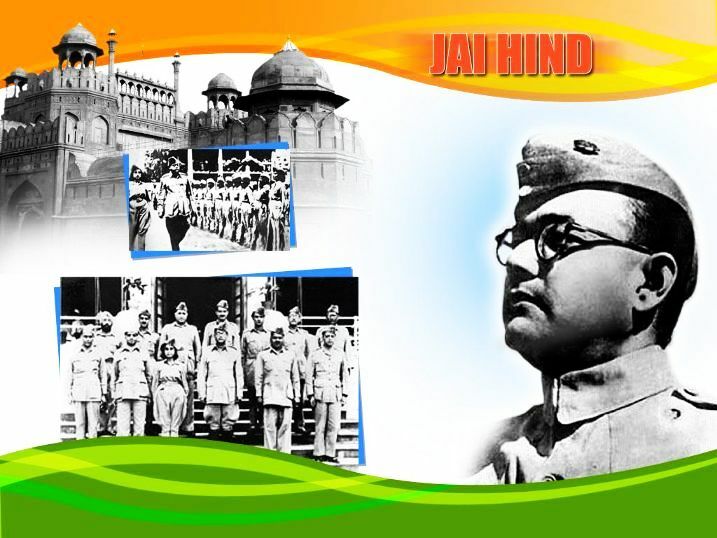 Conspiracy theories abound regarding Netaji's death. It is alleged that both the Congress leadership and the government were tense about the impact of Subhash Chandra's possible return to India. They believed that in such a circumstance, it would be impossible for the Congress or anybody to stop him from coming to power give the way he was worshiped by the common people. Mysterious Landscapes in the World- Best to be chosen as your guided trips.